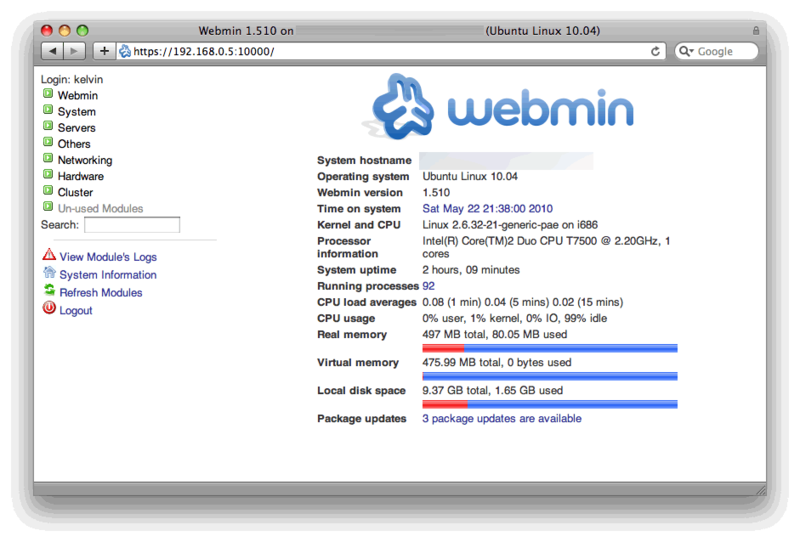 There is an easier way to install Webmin on Ubuntu 12.04 LTS! 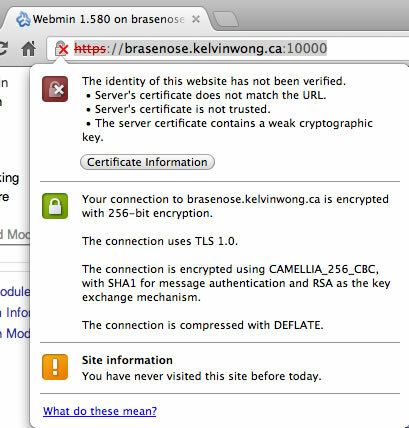 This walkthrough shows how to install Webmin 1.580 and upgrade the TLS self-signed certificate to use a 2048-bit key. 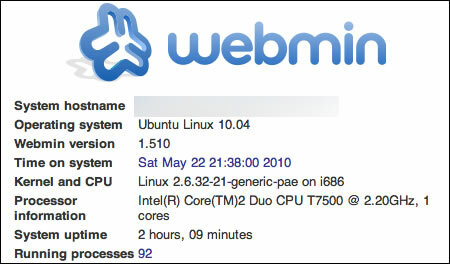 I had some trouble installing Webmin 1.510 on Ubuntu 10.04 LTS Server (aka Lucid). 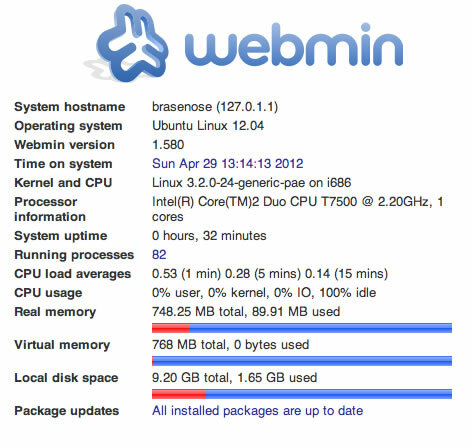 The problem is that Webmin uses a deprecated Perl module (a wrapper around Digest::MD5 for users of an ancient MD5 library) and both Debian and Ubuntu refuse to put it back into their respective repositories. Entirely within their rights, of course, but not so good for us weekend admins who want a painless install process. Okay, so let’s get to work. 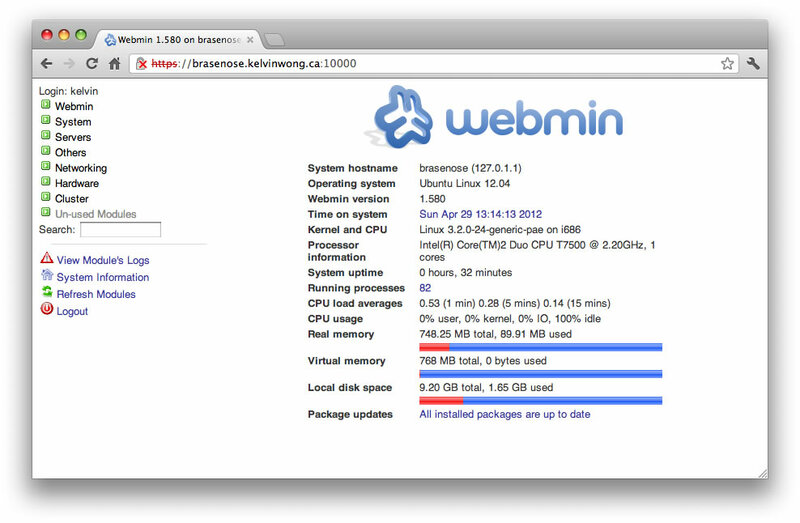 I’m installing Webmin 1.510 via the remaining Debian packages. Run this from a terminal. Expect some trouble from ‘libmd5-perl’. 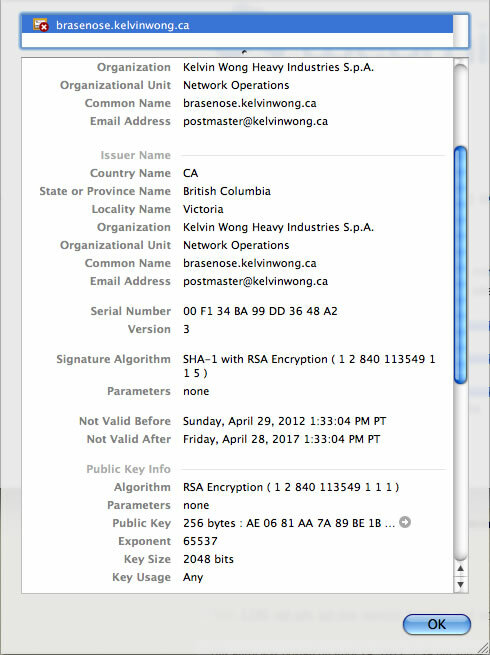 Couldn't find any package whose name or description matched "libmd5-perl"
The reason for this is that ‘libmd5-perl’ is persona non grata at both Debian and Ubuntu, as mentioned. The dependencies should all be installed now. 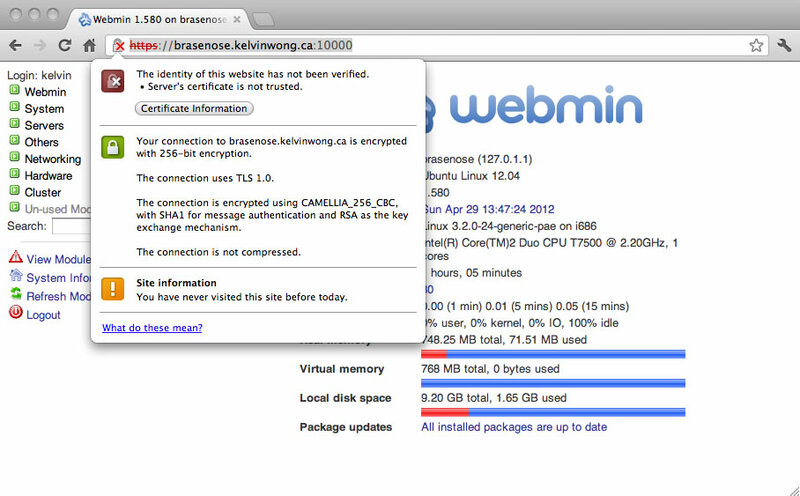 We can download the Webmin deb package from Sourceforge. Ideally, the Webmin gurus will refactor the old MD5 code dependencies, but this seems to work fine for now.